[A shorter version of the review below will be published in Volume 13 of the Political Studies Review, Issue 4, November 2015. The definitive version will be available at Wiley Online Library]. Is coming to terms with the past an absolute prerequisite for a successful political transition? Following Franco’s death in 1975, the linchpin of the Spanish democratic self-reformation was a voluntary and stubbornly unwritten agreement among the political elites to repress memory and to forget the past: no truth commissions, no massive trials or apologies. Only a collective silence imposed upon the victims of the Civil War and the implacable Francoist regime that followed for nearly four decades. 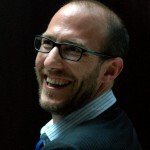 By reassessing the Spanish negotiated political transition, Encarnación provocatively suggests that a political solution that abridges and thus delays justice against an authoritarian regime might be sometimes preferable to a compliant diet of enthusiastic acclamations about the virtues of remembering at all costs. 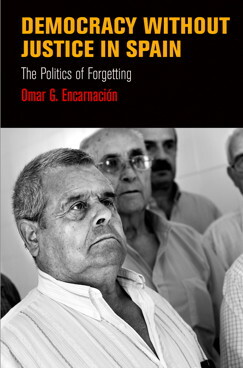 In seven well-written and detailed chapters, Encarnación reassesses the context and rationale of the Pact of Forgetting (Chapters One and Two), tracing the challenges and consequences of sustaining this voluntary political agreement to not remember rather than to pursue public reconciliation (Chapters Three and Four). This was the prelude to the implementation of the 2007 Law of Historical Memory that Encarnación discusses in his Chapter Six. The 2007 Law of Historical Memory could hardly be deemed as a surprise. As Encarnación shows very well, Zapatero could not afford politically to ignore the demands of Human Rights advocates, both in Spain and abroad, and it was part of his progressive intention to complete the unfinished business of the transition. Even if the Law exposes some continuity with the Pact of Forgetting, it “deserves much credit for creating a less contentious climate with respect to the past” (p.179) and, in some rather peculiar ways, conforms to the public’s idea of coming to terms with the past. He reminds us that historical and political contextualisation is crucial and that consequently a transition to democracy is never straightforward (Chapter Seven). However, while Encarnación clearly aims to challenge the transitional justice literature, he does not engage with it in a sustained manner. This is unfortunate as transitional justice is a recent field of study and already in transition itself. Had he done so, his work might have been even more of a hindrance to any mechanistic understanding of democratic transition one might find in that literature. Perhaps a more crucial point is the hasty conception of democratic legitimacy Encarnación tends to endorse in his book. A more theoretically engaged understanding would have strengthened his argument. Nonetheless, Encarnación’s historical assessment of the Spanish politics of forgetting and his rejection of the fixity of transitional justice studies are convincing. Democracy without Justice in Spain is a timely work and a must-read for anyone interested in the complexity of contemporary Spain and the still delicate and open question of democratisation and reconciliation.